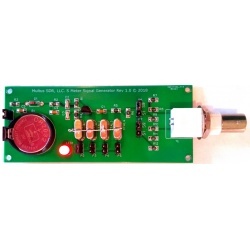 he IQBD (IQ Balance Detector) is a device to aid in determining the correct volume and phase balance of the IQ audio signal sent to a SDR transceiver. Most transceivers (including the Proficio) that implement Tayloe mixers to generate the transmitted RF signal need at least small adjustments to the volume balance and phase balance of the two channel I/Q audio signal provided to the SDR transceiver. If either volume or phase are unbalanced an image signal is produced in the transmitted RF signal. Determining the strength of the image signal is often performed by listening to the transmitted signal on a second receiver or transceiver. 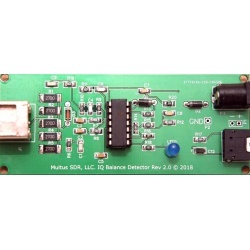 The IQBD eliminates the need for a second receiver or transceiver. 1) Highly sensitive to IQ out of balance conditions of both volume and phase. 2) LED IQ balance visual indicator. 3) Audio IQ balance output indicator. 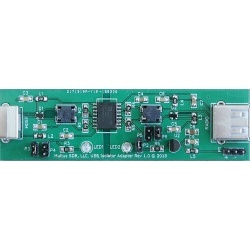 4) 5W maximum input power. 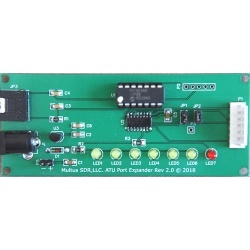 The IQBD is sold as a kit and contains SMT devices. Technical support and documentation is located at: Support.